Detectives found the three bodies at a house littered with soiled diapers, about 50 miles southwest of Boston. BLACKSTONE, Mass. 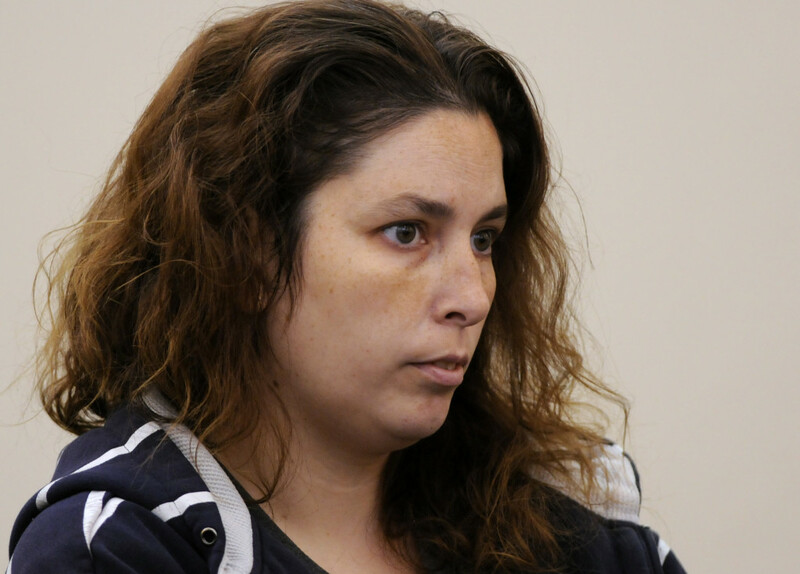 — A woman who lived at a squalid, vermin-infested home where the bodies of three infants were found this week was arraigned Friday on charges including fetal death concealment and ordered held without bail as the search for more possible bodies continued. 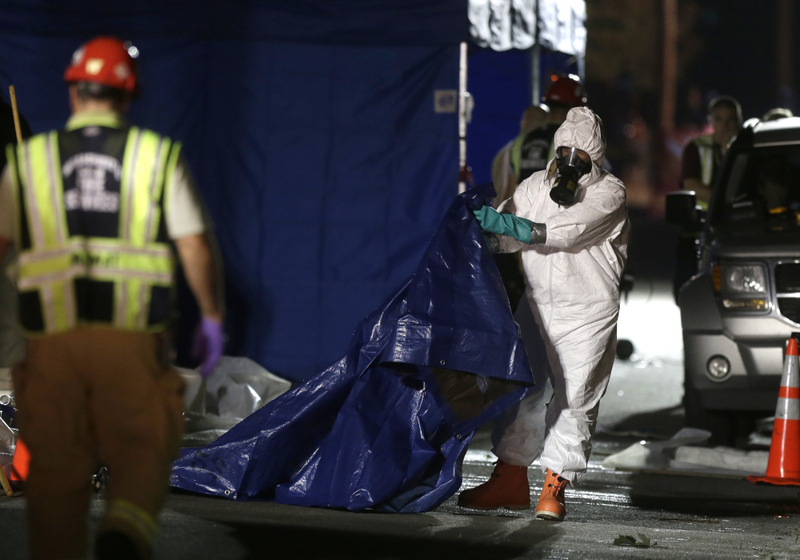 Detectives investigating a case of reckless endangerment of children found the bodies at a house littered with soiled diapers in Blackstone, about 50 miles southwest of Boston along the Rhode Island border. Four other children had been removed from the home two weeks earlier. Erika Murray, 31, was arrested Thursday night on charges including fetal death concealment, witness intimidation and permitting substantial injury to a child. Not guilty pleas were entered Friday on her behalf. Her attorney, Keith Halpern, suggested that Murray struggled with mental illness. Blackstone police said Friday that Murray was the mother of the two oldest children removed from the home last month, but no birth records existed for the two youngest. Police following up on that case found the body of an infant in a closet on Wednesday. The remains of what appeared to be two other newborns were found Thursday, they said. The search of the home, which is just a couple hundred feet away from the town’s police station, is expected to take several days. 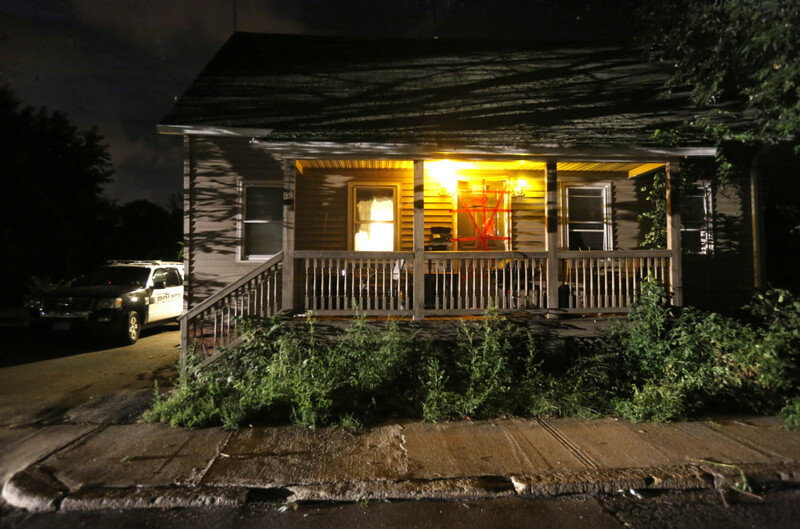 The four other children, ages 13, 10, 3 and 6 months old, were removed from the house on Aug. 28 after a neighbor notified police about their living conditions, Worcester District Attorney Joseph Early Jr. said. One of them approached a neighbor about a child who wouldn’t stop crying, he said. The 6-month-old was found covered with feces lying on a bed, Early said. Those children are in state custody. The judge in Uxbridge District Court agreed to a request by a prosecutor to seal a file concerning a previous court appearance by Murray on the reckless endangerment charges related to the two youngest of the four children taken from the home last month. 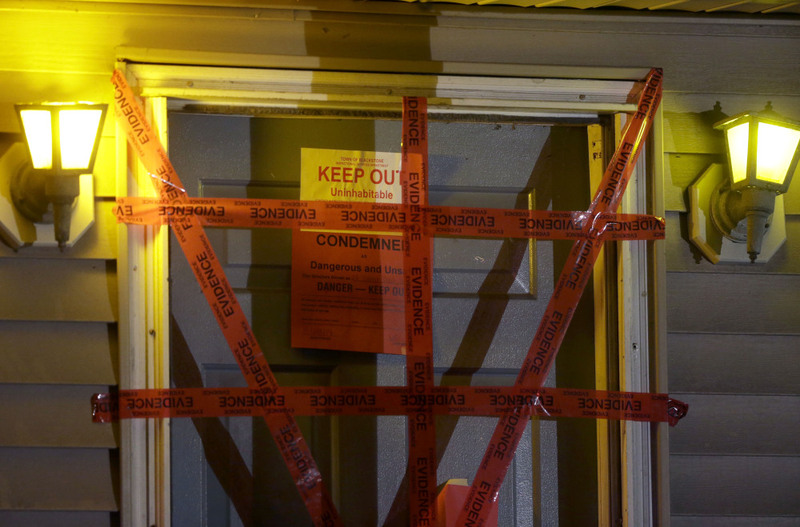 Investigators working Friday in the small house were wearing hazardous material suits. Blackstone police said skeletal remains of several animals, including cats and a dog, were also found inside. A woman who lives a few doors down from the home, Diane Densmore, said she and her fiance often walked by on their way to the grocery store and were struck by how the windows were always closed and the shades drawn. She said there were no fans in the windows even on the hottest days. Densmore said she spoke with a woman at the house only once, when Densmore asked for some firewood from her yard, but she at times saw people outside the house clearing the yard. “It’s unbelievable this happened right underneath our noses,” she said. A letter carrier for the neighborhood, Pam Webster, said she knew it was a dirty home and she often saw children eating breakfast on the porch rather than inside. She said she typically handed the mail directly to a woman at the house, who she said was usually on the phone. Marilynn Soucy, 68, who lives a few doors down, said in a phone interview that she was still in shock at the news in the neighborhood where she has lived for 35 years. “I am so disgusted. It hasn’t really registered in my head yet,” she said. She said she and her husband, Bob, had rarely seen the couple who lived in the house for at least three years, or their children. She said they occasionally saw the 10-year-old, a boy, playing outside or the woman sit on her porch. Soucy said she never heard any major complaints about the couple, other than her grandkids noted once that the house smelled bad. “If we thought kids were being abused or living in squalor we would have said something,” she said. Soucy said the only time there was commotion at the house was when officials removed the children. The state Department of Children and Families said in a statement Thursday that the children who were living at the home are in state custody. It said the department did not have a case involving the family and that it learned about the situation through a report of possible abuse or neglect.